For IT Operations departments that are the foundation of digital transformation, the key methodology to detect and resolve issues is log analysis.Organizations today are experiencing exponential growth in the volume, variety, and velocity of log files, which all must be analyzed toextract value. While traditional tools guaranteeing only incremental and unscalable growth are still the norm, new AI-powered log analysis tools have the potential for unlimited analysis. As businesses undergo digital transformation, AI-powered tools may be just the thing to take them farther, faster. 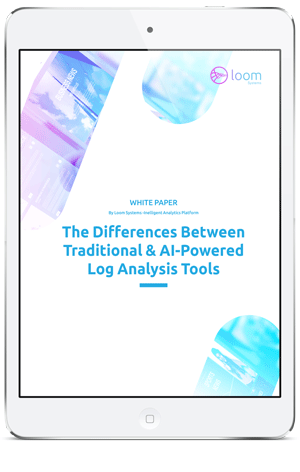 Download this whitepaper and learn how Loom's AI-powered log analysis solution differs from othe tools in the market.